These are some of our generous donors and supporters - we could not do our work without you! Please help us show our gratitude by clicking on the links and images below, see what they do, and think of them when you need veterinary services, photography services, pet supplies, dinner/drinks out and thank them for being generous to their rescue community! We have been taking our rescue dogs to Dr. Tysor since the beginning of time and she has been wonderful in accommodating all types of urgent and routine needs. THANK YOU DR TYSOR AND STAFF! You've seen her work, whether or not you knew it. Angela has been donating her time to take pictures of our adoptable dogs since early 2016. Every single one of them looks amazing and these pictures are crucial in getting these dogs out in the public for potential adopters. Thanks to Pet Supermarket we have been introduce our adoptable dogs to the public. Ever since early 2016, we have been coming to the store a few times a month with our dogs and many of them have gotten adopted from meeting their forever people at the store! We have been holding adoption events at Nature's Emporium (Burlington) since early 2016 and have met many wonderful people, some of whom ended up adopting a dog! ​Farm services has been generous in giving us sidewalk and store space to hold adoption and fundraising events. They have quality dog food and pet care items for sale, so check them out in downtown Graham! They have farm stuff too, if you're needing that! 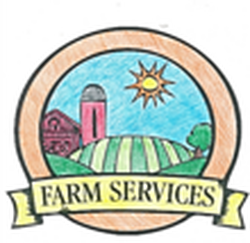 THANK YOU TO THE STAFF OF FARM SERVICES! We were in dire need of business cards and they came forward and donated printing services! We use business cards to connect with the public and to hand to potential adopters at events. Check out their website for your own printing needs! THANK YOU TO THE STAFF OF INTERNATIONAL MINUTE PRESS! We have been lucky to get so many supporters in our local community and this by no means a complete list. We will do our best to keep this list current. If you would like your name added/removed from the list, please feel free to message us on Facebook. THANK YOU SO VERY MUCH TO EVERYONE (WHETHER YOU ARE ON THE LIST OR NOT)!